Welcome to Wednesday Wait Loss. I can’t wait to see what you’ve been working on! 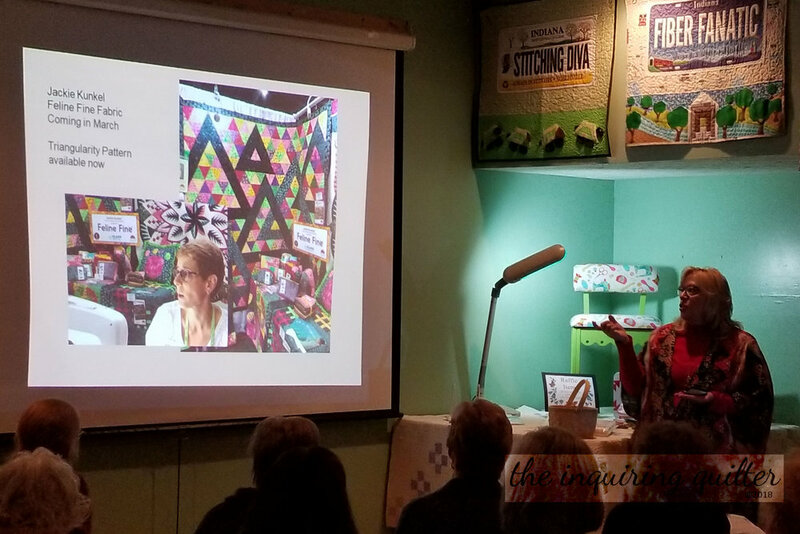 Last week I helped at a special event at the shop, an After Market event in which selected customers got to hear about new Market offerings and shop them before anyone else! It was a lot of fun hearing about the Market trends. You can read about them here. I’ve made some progress on my Island Batik challenge for this month, which is to make a log cabin quilt! 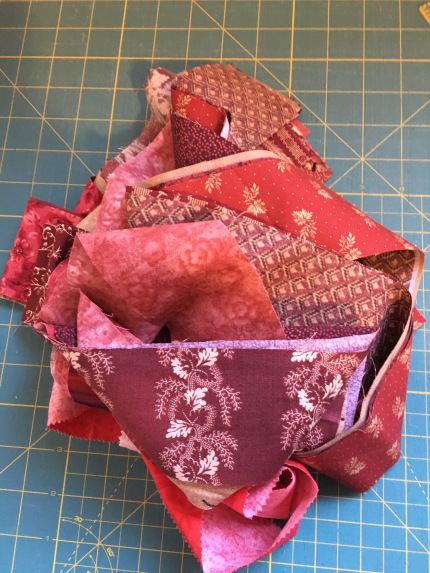 I’ve made the center block (not a log cabin <wink>) and cut the fabrics. You can read more about that here. 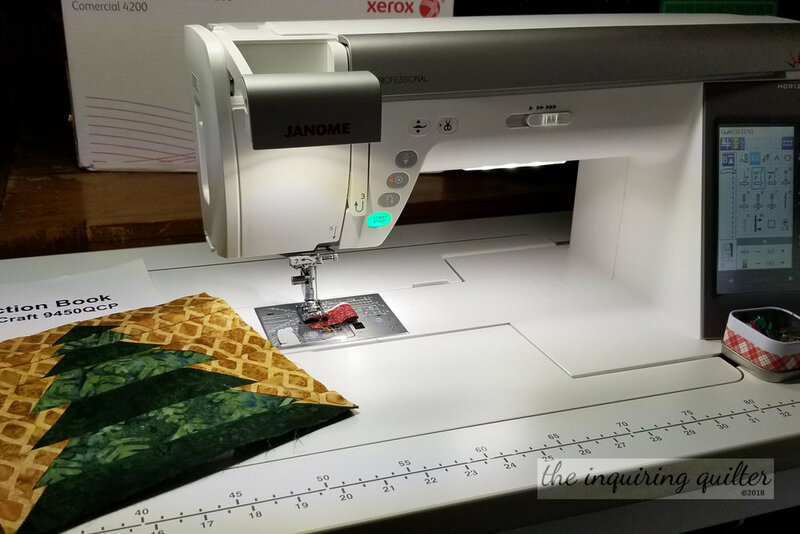 I sewed the block with my new sewing machine! The block is paper pieced so I needed to adjust the stitch length and figure out how to use the appropriate foot. I chose the 1/4” foot because it has a narrow channel in front of the needle that helped me sew right on the line. 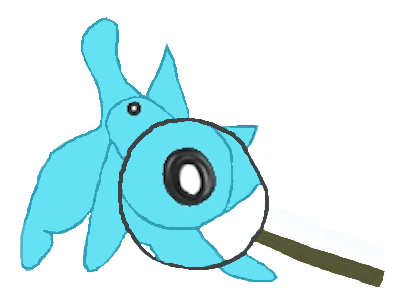 Once again that thread cutting feature was nice and handy. So was the bright light. And I learned how to use the needle threader! Woot! Well that was my week. Before we find out what you did this week, let’s take a look at who made this week’s feature. First up is Denise @ For the Love of Geese who is working on a new design, based on a Cosmati tile floor! So cool. 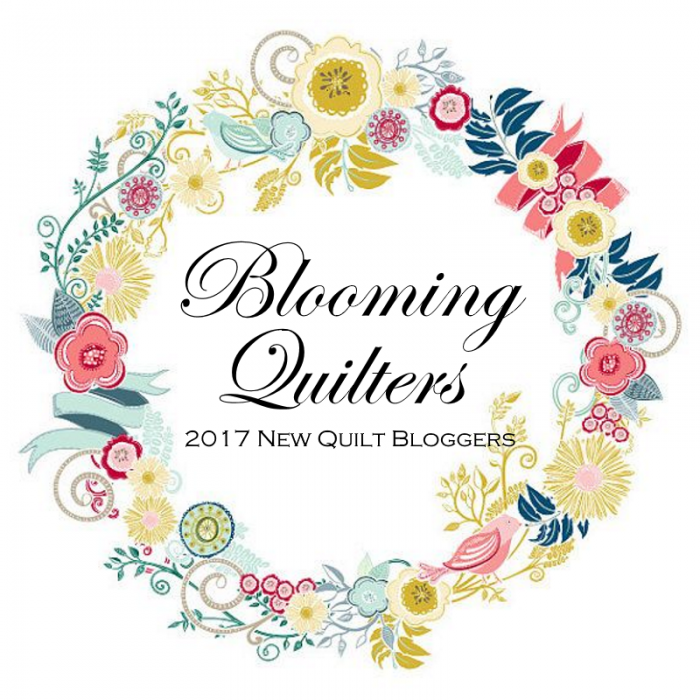 Visit her blog to read all about her new quilt pattern. Next is Gail @ Quilting Gail who recently played quilter’s strip poker! Never played it? Visit Gail to learn the rules of the game. Next is Cherie @ Cherie’s Quilting Journey, who shared these lovely pin cushions. Pin cushions were very popular at Fall Quilt Market so she’s right on trend. Finally, I’d like to welcome a new quilter to our group—Evaj (Eva) @ Babmisyr with Hist Quiltgladje. 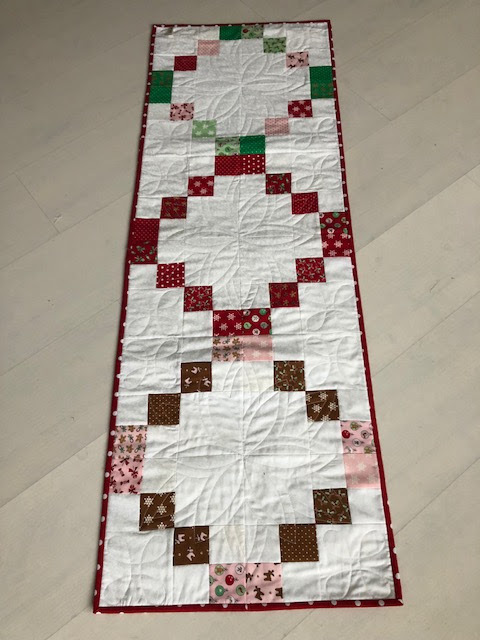 Evaj shared this lovely table runner. 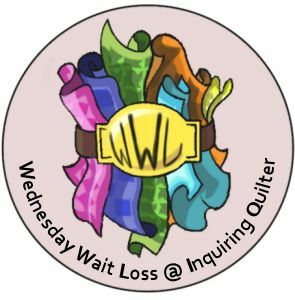 Visit her blog and leave an encouraging comment for future projects and welcome her to Wednesday Wait Loss! Today is our special Thanksgiving link up! 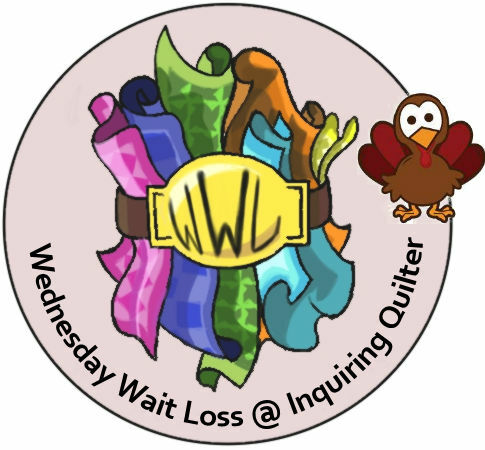 This week on Wednesday Wait Loss, we’re celebrating Thanksgiving and harvest quilts. Thanksgiving is a big holiday here in the states, and to us it is a celebration of food and family, featuring turkeys, corn, bread stuffing, cranberries, pumpkins and other foods harvested in the fall. We also celebrate the American Indian at Thanksgiving, without who’s help the first pioneers would never have made it through those difficult first winters in a new land. Most cultures celebrate harvest time with some kind of festival, and I’d love to hear stories about that as well! 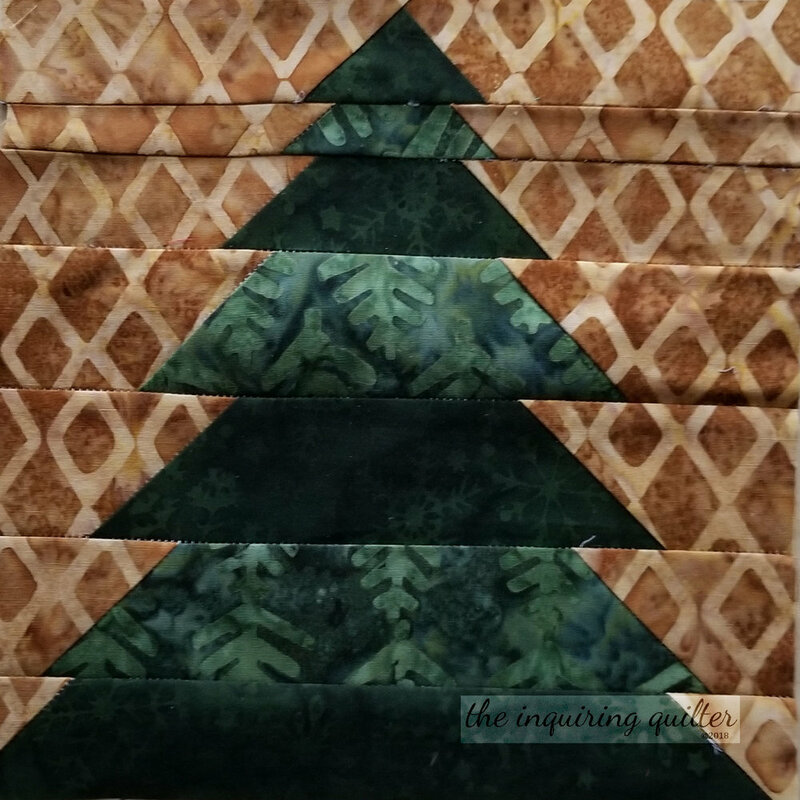 If you can think of a way that your quilt is linked to harvest time or Thanksgiving, link it up and you’ll get two chances to win an Island Batik Stash Builder—a collection of 2-1/2” batik strips. 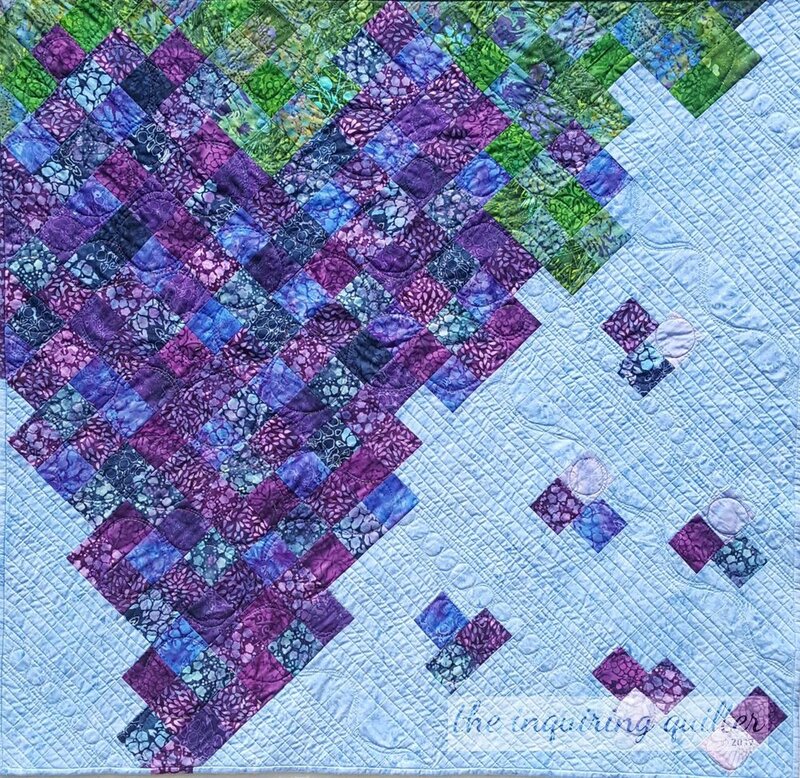 Link up any other quilt and you get one chance to win. Be sure to share stories of how you celebrate harvest time where you live! Because of cost, the fabric giveaway is open to US residents only. If you win and you don’t live in the US, I will let you choose a PDF pattern from my shop as your prize. Click on the images to read more about the quilts. Charity is an integral part of Thanksgiving here, with the focus on feeding the hungry. Here’s a quilt I made for charity. 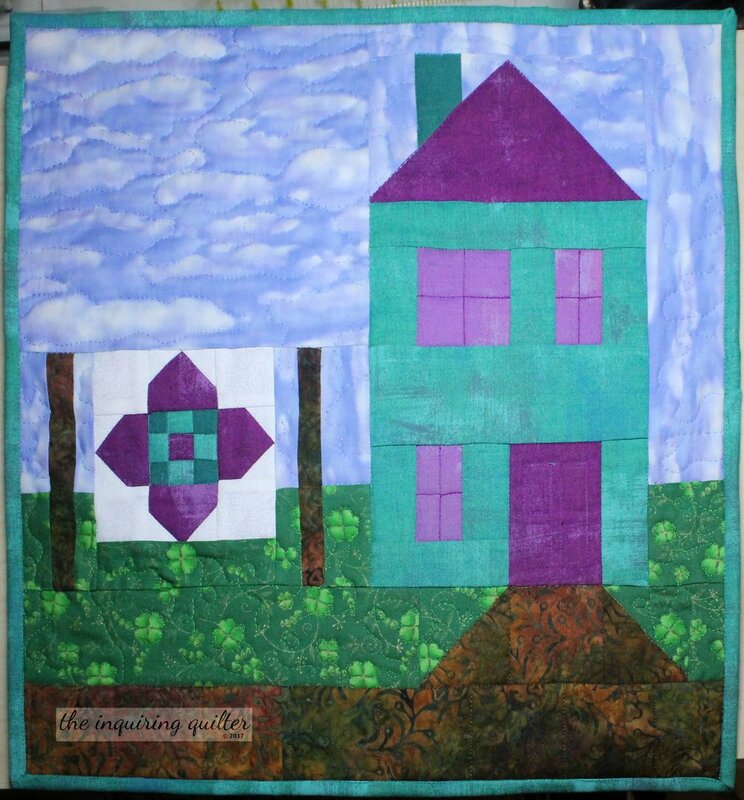 Home and family are a major component of Thanksgiving, and here is a quilt I designed that features a home and of course quilts! Vineyards have always reminded me of harvest time. Here’s my Modern Vineyard quilt. Tell me..what have you been doing this week?